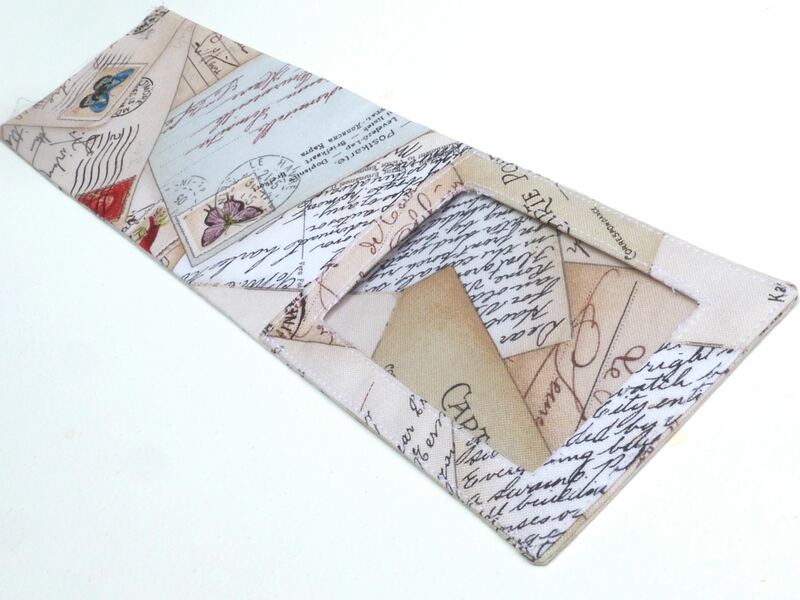 I was contacted recently by Craftseller magazine in relation to their “Blogger of the Month” feature and was asked if I would like a free double page spread in their magazine. Um, let me think a minute…..yeeees! As part of the feature I designed a free pattern for the readers, which was to be copyright-free allowing full reproduction rights. This was harder than it initially seems, I mean, what could I design that hadn’t been done before???? 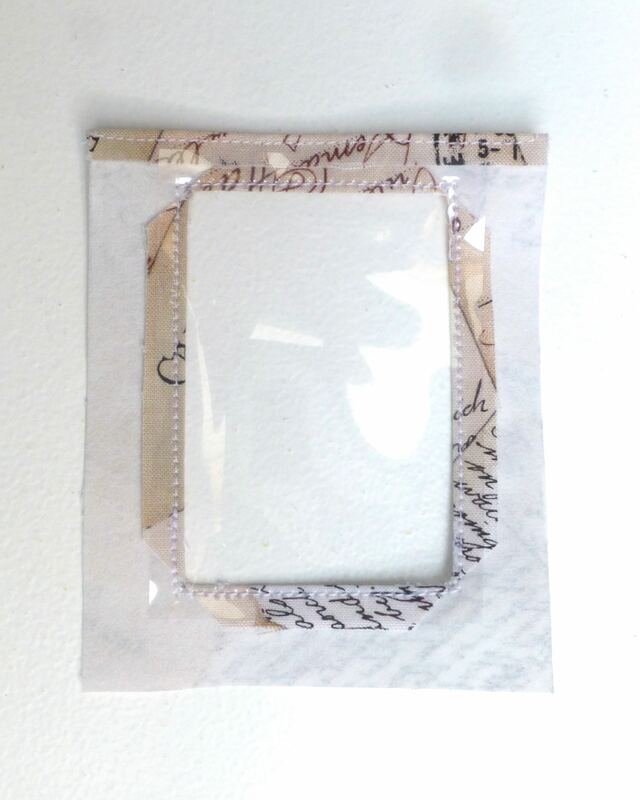 I came up with the idea of a folding travel photo frame and Googled/Pinterest-ed it…….not a single result. No one seems to have come up with a tutorial for such a thing, unless I just didn’t type in the correct keywords. So that was it, decision made, a “Folding Travel Photo Frame And Case” was going to be the free pattern for Craftseller’s readers. 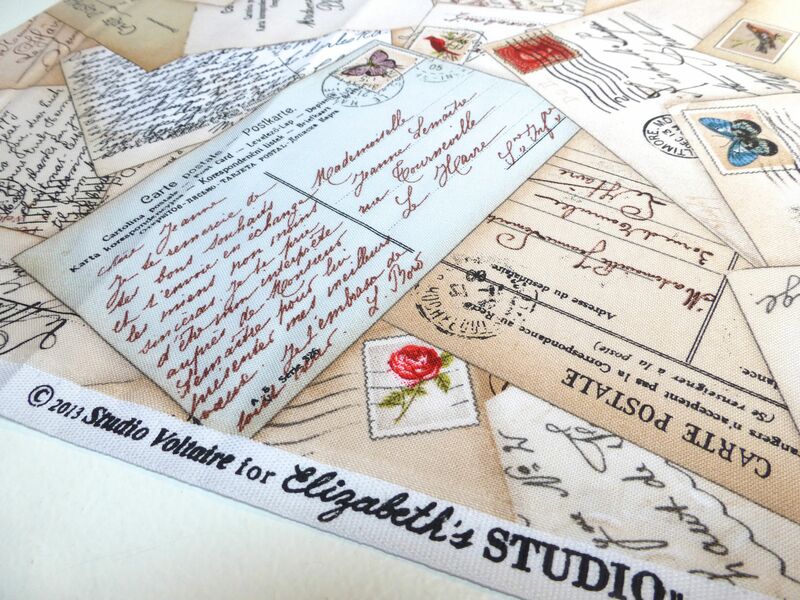 You may remember the “Postcards” fabric from the “Spring In Paris” collection by Studio Voltaire that I bought earlier in the year (see this post), well I thought it would be the perfect match for a travel themed project. So, here goes with the tutorial! Fuse the interfacing to the reverse of the matching fabric pieces following the manufacturers instructions. 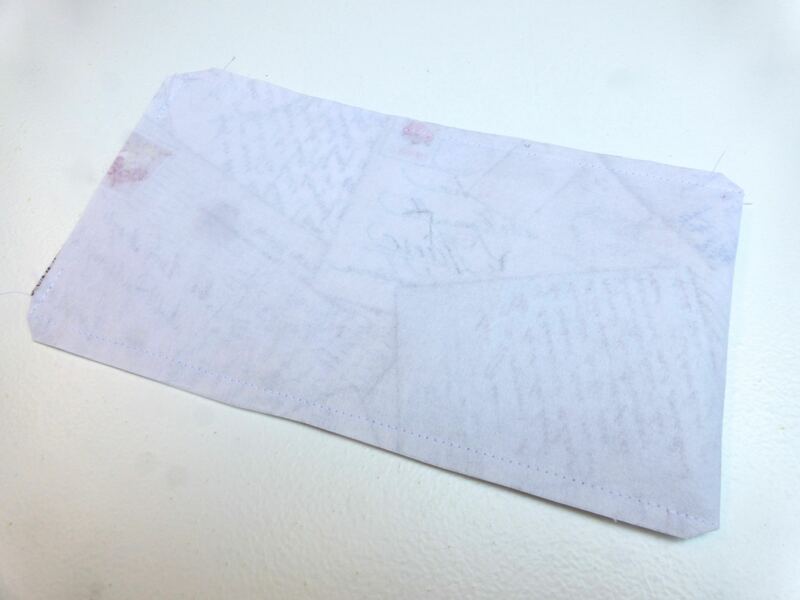 Place the acetate in the centre of the reverse of your 4.5″ x 3.5″ piece of fabric and draw around it, marking a rectangle. 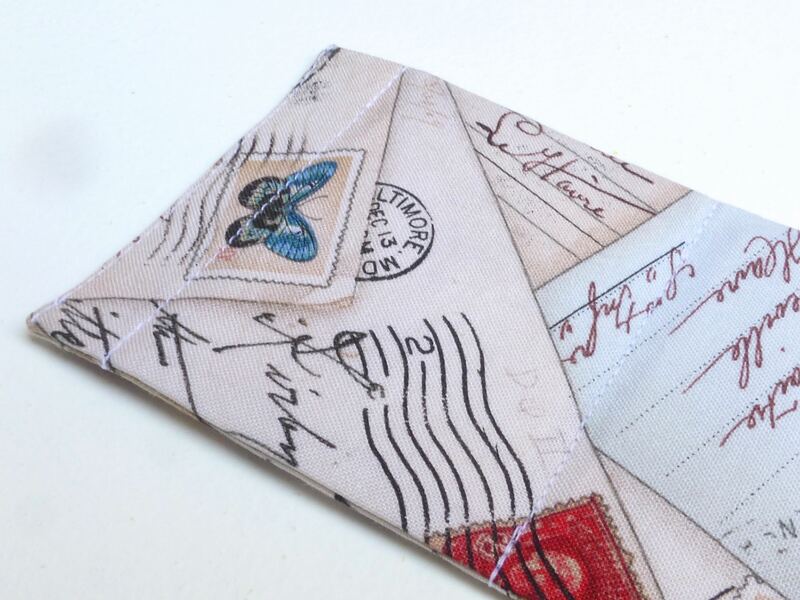 Remove the acetate and stay stitch the corners of the marked rectangle.. 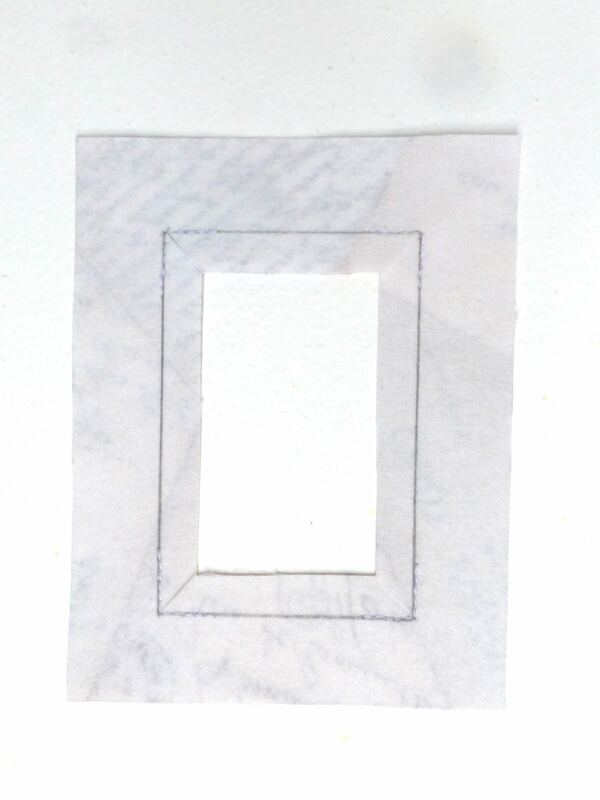 Draw a second rectangle 1/4″ inside the first one and cut this section out to create a window for your photograph. 4. Clip corners diagonally to the stay stitching. 5. 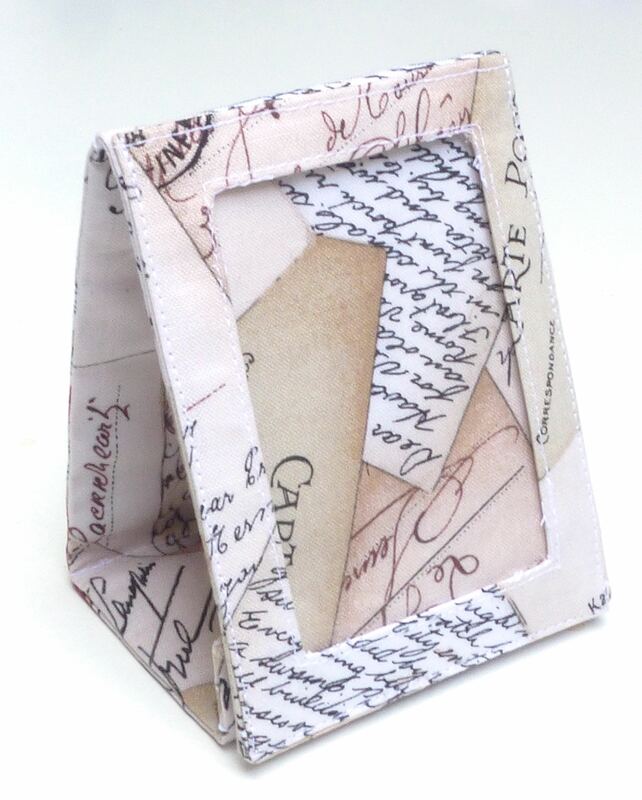 Fold to inside along the solid lines. Press. 6. 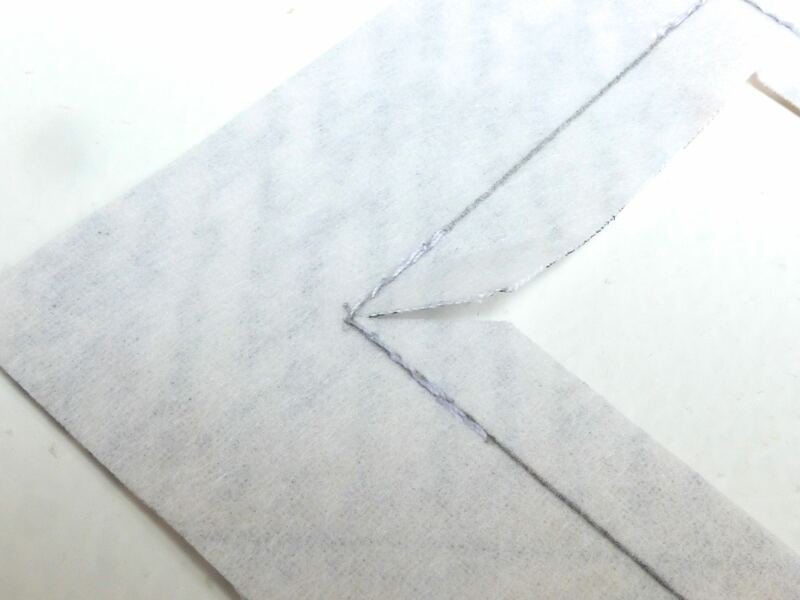 Turn down a 1/4″ hem on the top edge and top stitch close to the fold. 7. Place acetate on the reverse of the window and top stitch close to the inner edge on all four sides. 8. Turn and press a 1/4″ hem on remaining three sides of the fabric, being careful not to touch the acetate with the iron. It should now look like this from the right side. 9. 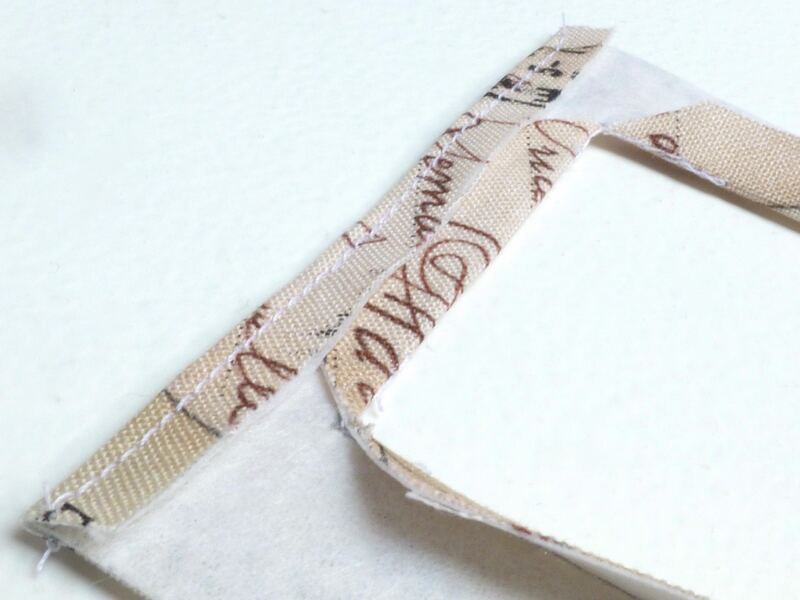 To make your frame, take both 12″ x 3.5″ pieces and, with right sides together, sew around three sides with a 1/4″ seam allowance. Trim corners, turn and press. 10. With the right side up, place your window on top of the frame aligning the bottom folded edge with the bottom seam of your frame. 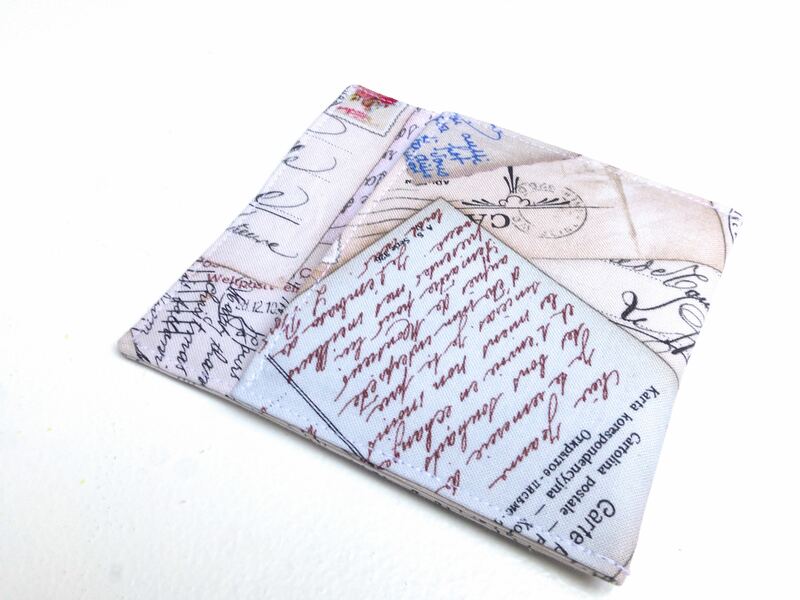 Top stitch the window close to folded edges on three sides, leaving the top edge open to slip your photo into. 11. Insert a 3.5″ x 2.5″ piece of card into the open, unfinished end of the frame and push right down to the bottom. 12. Sew just above the window through all layers of the frame to encase the card. 13. 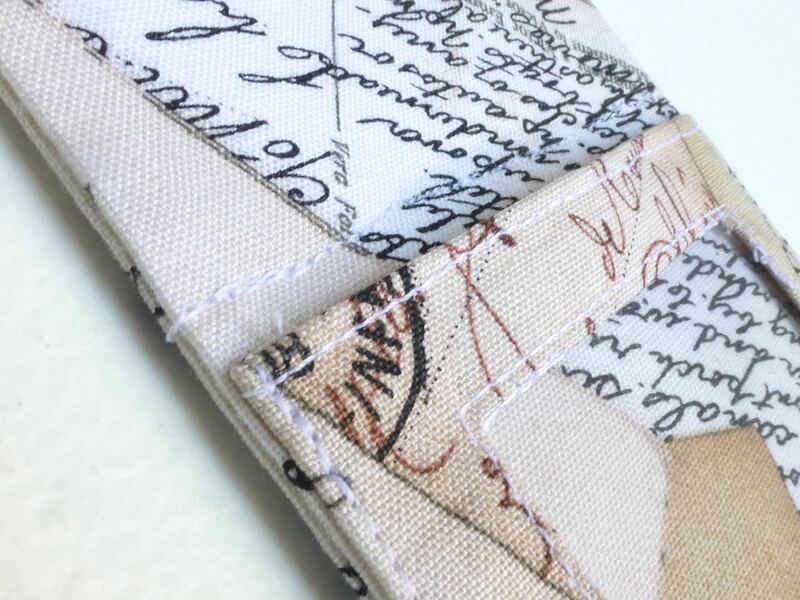 Insert the second 3.5″ x 2.5″ piece of card and push down to meet the previous line of stitching. 14. 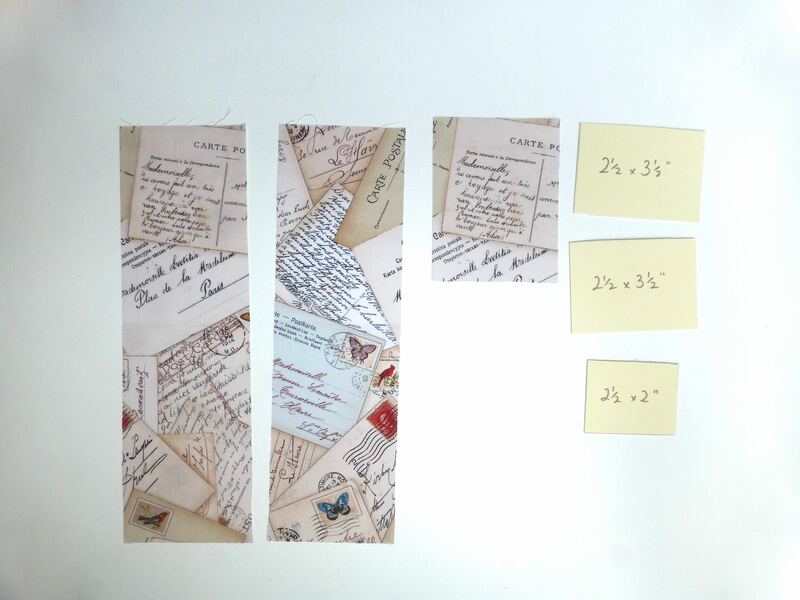 Sew across the width of the frame as before, encasing the second piece of card. 15. 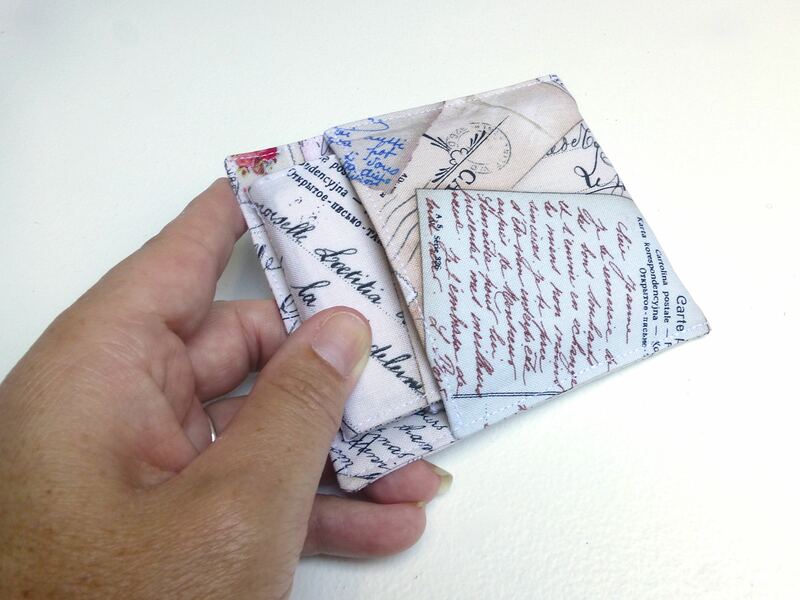 Repeat steps 13 & 14 with the smallest 2.5″ x 2″ piece of card. 16.Turn in the raw edges of the frame opening, press and top stitch to close. 17. Window side uppermost, stitch the loop side of the hook and loop fastener to the opposite end of the frame as shown below. 18. Hand stitch the hook side of the fastener to the reverse of the window along the bottom edge. 19. 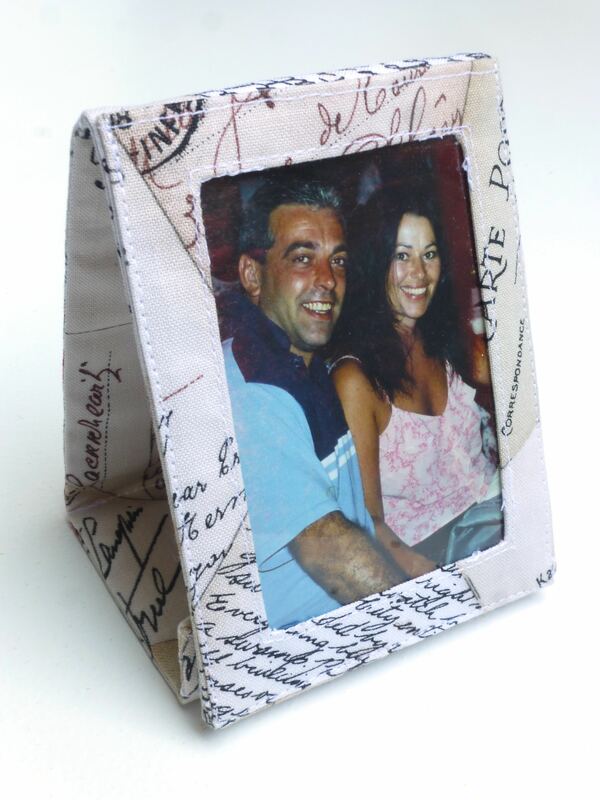 To assemble your travel photo frame, simply fold into a triangle shape and press together the hook and loop fastener. 20. 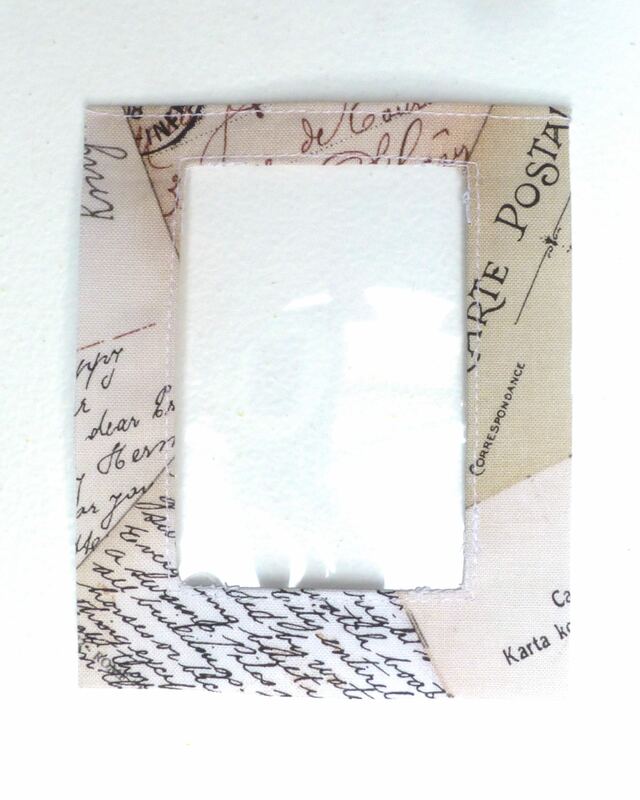 Slide your 3″ x 2″ photo in behind the acetate. Fuse interfacing to a piece of fabric measuring 16″ x 4.5″. 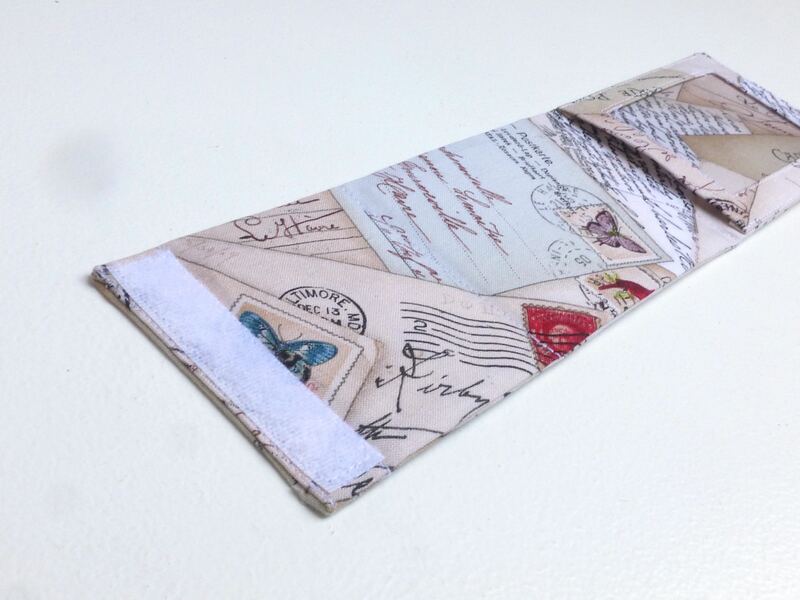 Fold in half width-wise and sew a 1/4″ seam on the three raw edges, leaving a gap to turn. 3. Top stitch close to the edge of the bottom edge. 4. Fold up from the bottom about 3.25″, so the top stitched edge stops 1.25″ from the top edge. 5. Top stitch around the side and top edges to finish. 6. 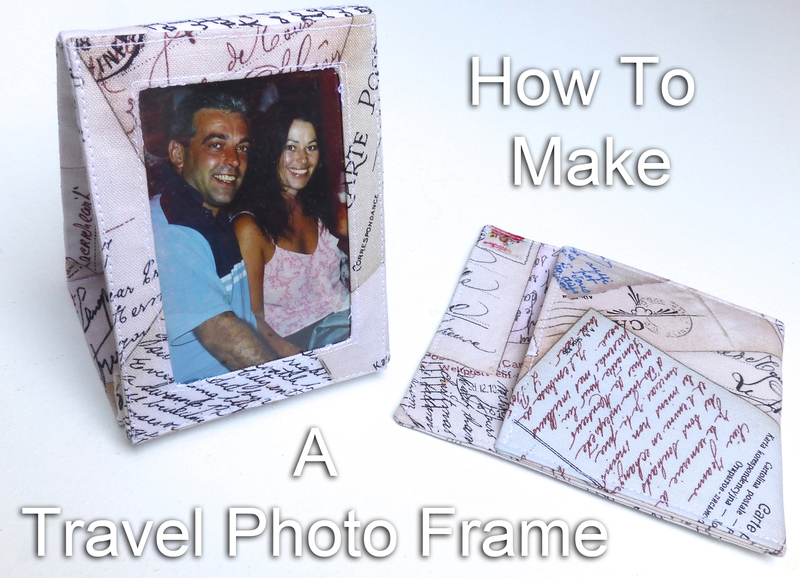 Fold your travel photo frame flat and pop inside the case. 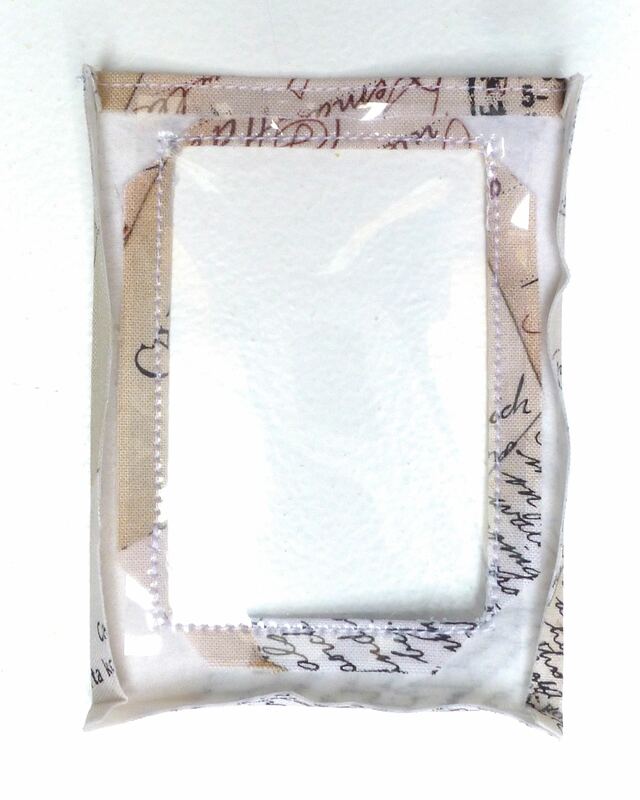 There you have it, a compact and portable, travel-themed folding photo frame – perfect for the traveller or person who works away from home. 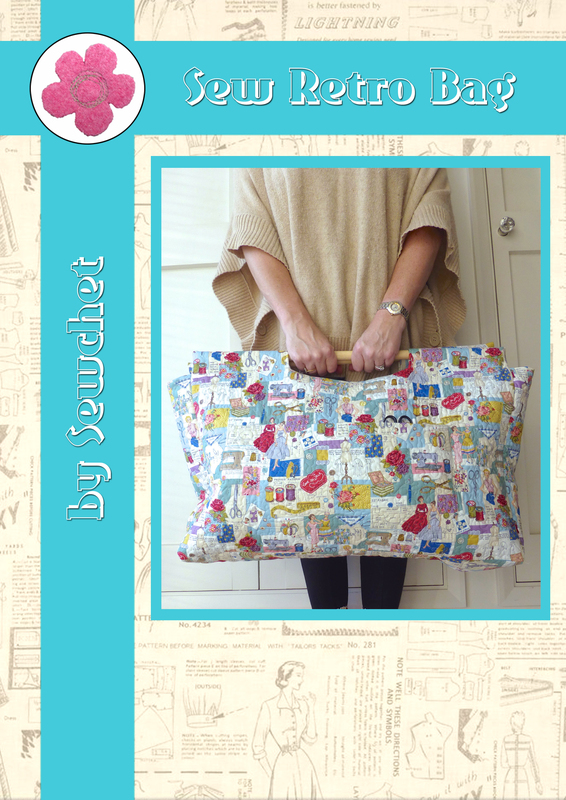 Look out for my Blogger Of The Month feature in Craftseller magazine soon! 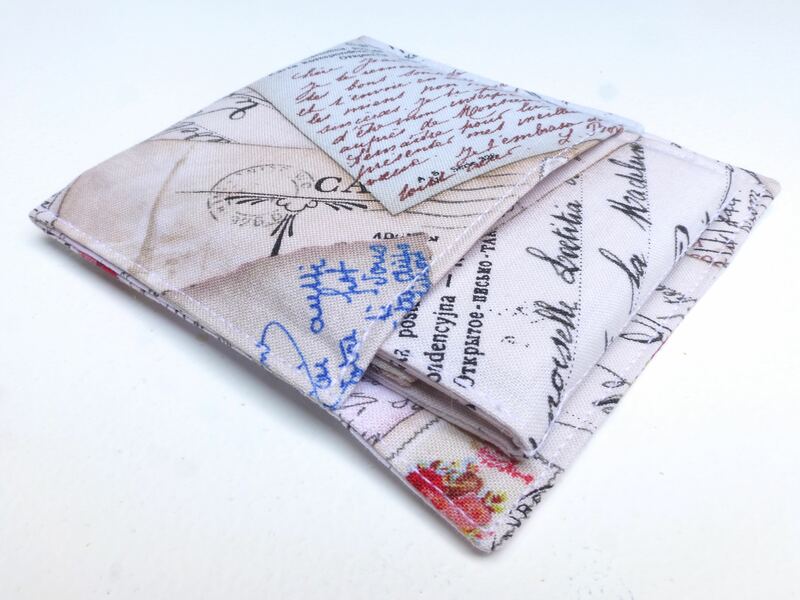 Categories: Sewing | Tags: Blogger of the month, Craftseller, Folding, Frame, free, gift, how to make, pattern, Photo, present, sewing, Travel, Tutorial | Permalink. I was thrilled to be asked, if a little bemused – my blog isn’t even eighteen months old yet! I do love making tutorials though, so it was a no-brainer. I don’t think it matters how old your blog is – You’re a great person to feature 😉 !! Well done indeed! They can obviously spot talent. Really great item! I’m sure they were thrilled. Make sure you charge when they want you to do a series! Ooh, wouldn’t that be lovely? A regular craft column…..
That’s brilliant! You are becoming seriously famous! Great idea and that fabric is perfect. Thanks, I’ll let you know when the book is released, lol! Love it! What a perfect gift – my friend has just been struggling for a birthday pressie for her partner who’s away on a submarine for 3 months. I’m not surprised that you were approached, your projects are so very appealing (no. 1 fan here, lol). Speaking as someone who can’t ever get a mount straight in a frame much less make the frame, I am in awe. 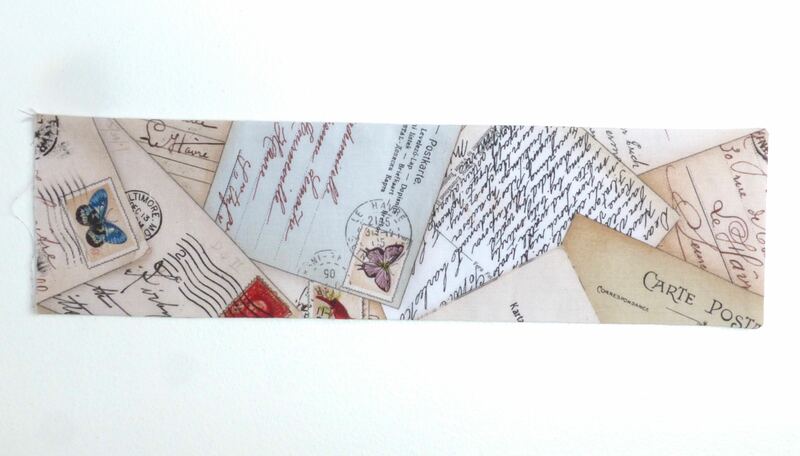 You write well, not all tutes are so clear and concise, or pattern instructions come to that. Well done! Wow what a great idea! 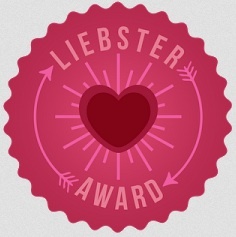 And congrats on getting featured – how cool is that?! I’m definitely adding this to my projects to sew list!! Congratulations! And well done with coming up with something so original, that couldn’t have been easy! Made in some suitably manly material, this would make a great gift for my brother-in-law who works on the rigs! Yes, it would, a Harris Tweed perhaps? Men are notoriously difficult to buy for, let alone make something suitable for, so I reckon you should go for it! Harris Tweed – I like it! Wow what a fantastic idea! Nope I’ve never seen one of them before! You’re so clever. Great for taking your loved ones away with you 🙂 soldiers should take them on tour!! Thanks Beth, they’re definitely not out there, are they? I really wanted to come up with something new so was pleased with this ‘lightbulb’ moment. 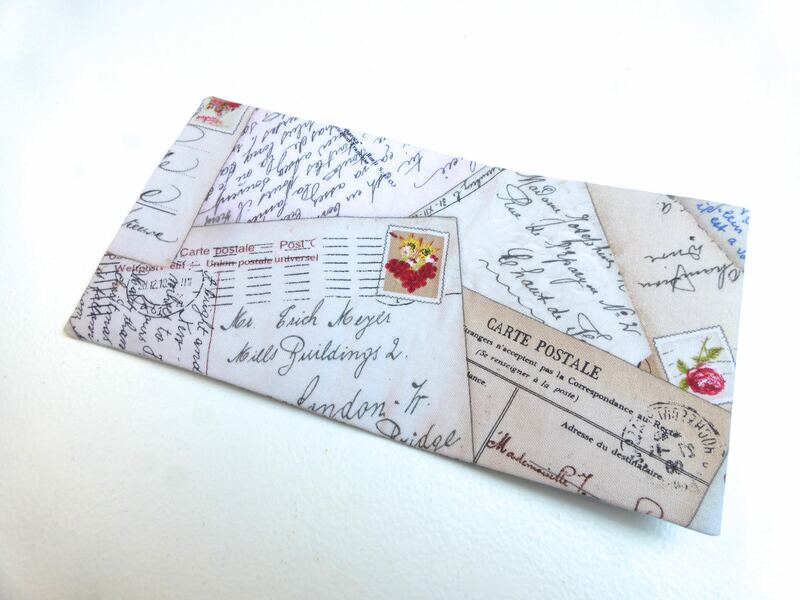 I might make some for my shop in more masculine fabrics as has been suggested. Men are soooo difficult to buy for. Many many congratulations and well deserved in my opinion, and a super idea for a crafty make well done !!!! Thank you very much, that’s great to hear – please send a photo of the finished teepee if your daughter gets around to making it? Thanks, and thank you for the parcel – it arrived today. I love the mini “Whiskers” on the embroidery scissors too, such a lovely surprise!